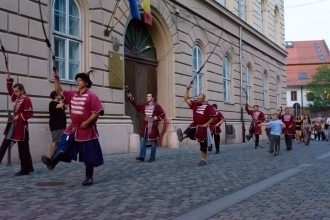 In front of the Theresia Bastion was held a spectacular traditional fighting demonstration organised by the members of the Losonczy István Hagyományőrző és Sportegyesület Association and their guests, the baranta team of Déli Tüzek Örzői Association. 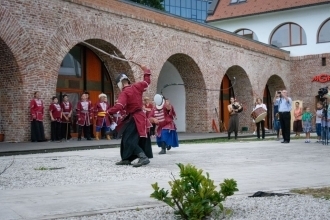 The event was accompanied by the medieval songs of the Peregrinii group from Timișoara. 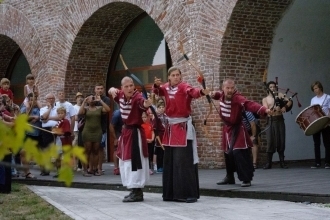 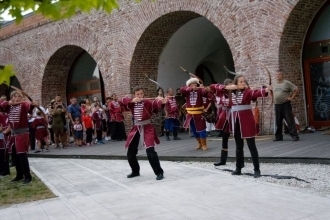 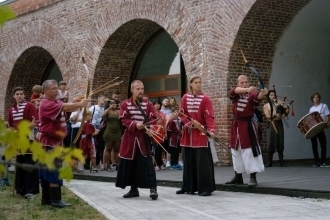 The festival was organised by the Banat Museum from Timișoara, under the name of The Fortress of the Brave. 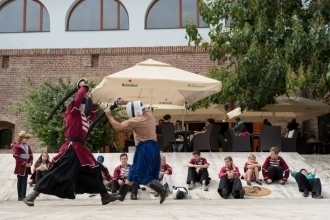 The two baranta teams emphasized different fighting styles from different historical periods. 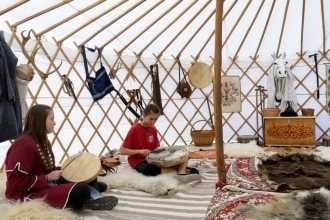 One of the main festival attraction was the yurt assembled in front of the bastion. 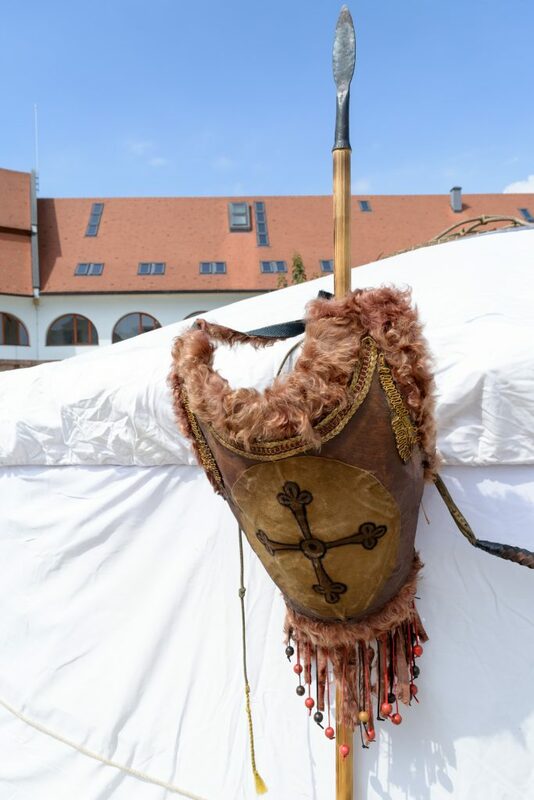 This yurt was assembled and equipped by the guests from Hungary, being presented afterwards to the audience. 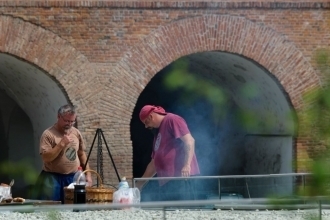 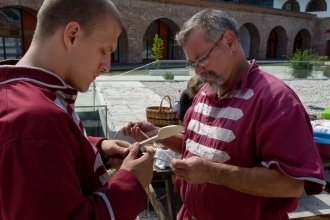 There, the public could taste two traditional dishes of the past: gulyas and millet food. 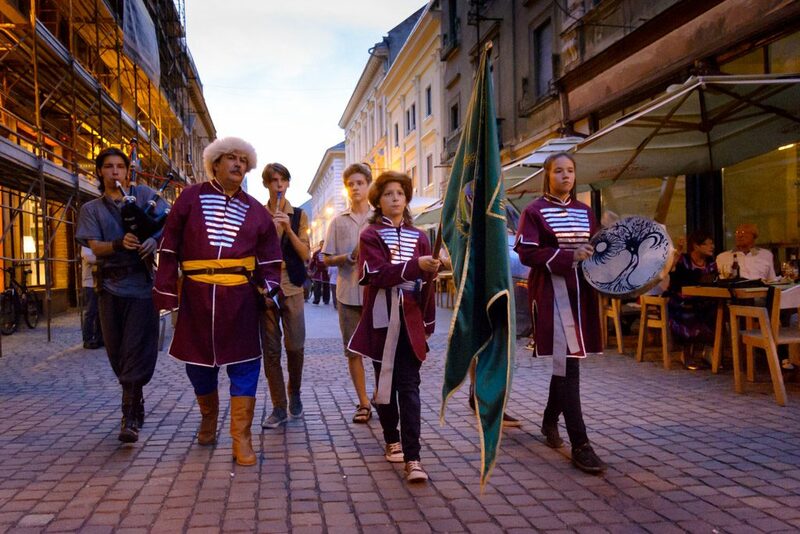 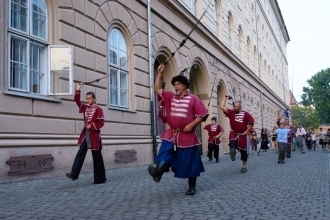 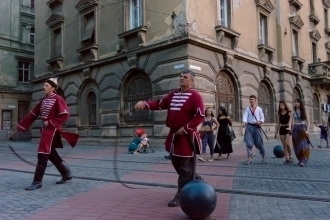 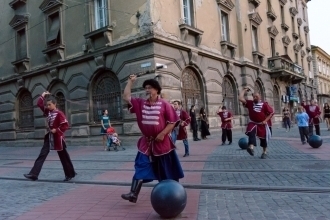 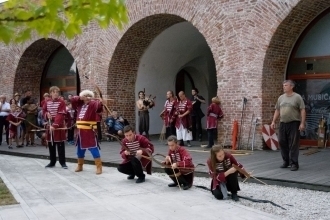 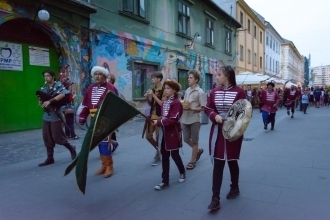 A beautiful scenery was offered by the participants when they marched from the Theresia Bastion to the Unirii Square and back, being accompanied by the sound of the whips and the medieval music of Peregrinii. 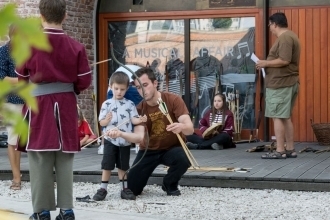 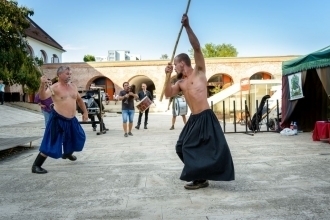 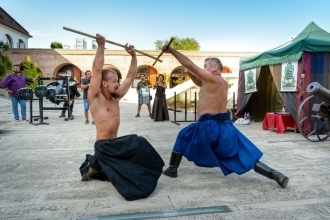 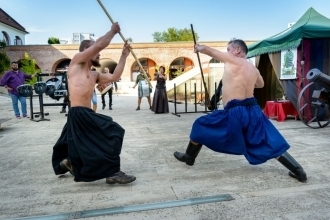 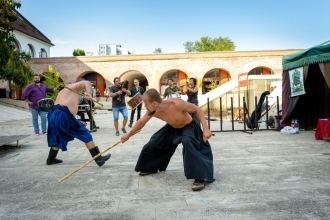 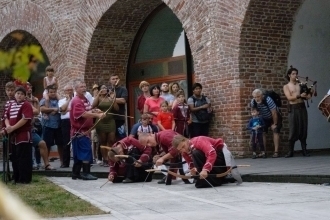 The public could watch sword and wooden stick fighting demonstrations, archery demonstrations, and they could even learn how to use the traditional whip. 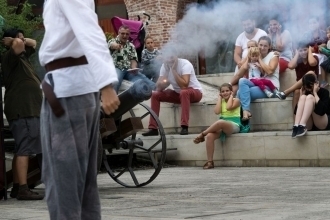 Guided by specialists, the public could eventually try the weapons presented within the festival. 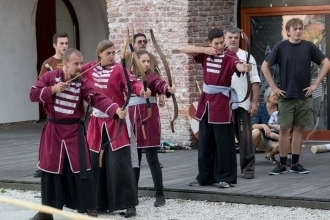 Erdei Lajos, the leader of the Losonczy István Hagyományőrző és Sportegyesűlet Association and the founder of this movement of preserving the old traditions in our region, spoke about the opportunity offered by the event organised by the Banat Museum. 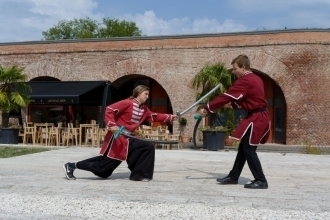 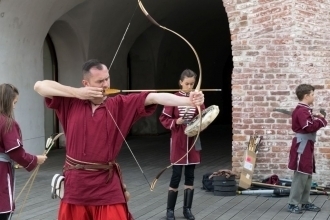 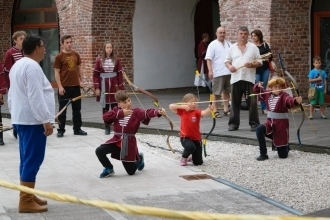 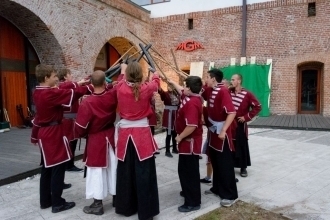 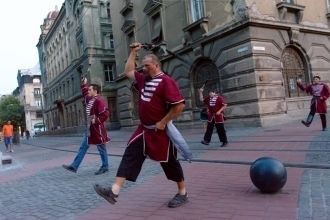 During this event, the great public could closely watch and learn about the life of the hungarians in the XVIth century, about their weapons and their fighting style: ” The main goal of our association is to assimilate and make public – out of respect for our ancestors – their way of life and fighting, despite the fact that today, the youth is more interested in using the internet and the smart phones. 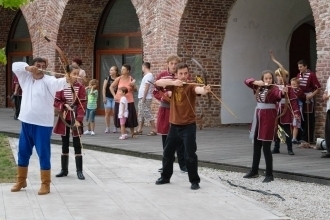 We try to revive our ancestors bravery and to make a useful example of this bravery within the modern society. Our beliefs are built on a set of values like honour, self-knowledge, and the tribute that we are paying to our culture and customs. 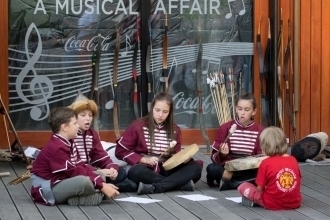 We are also being responsable to pass forward the above mentioned set of values to the next generation. 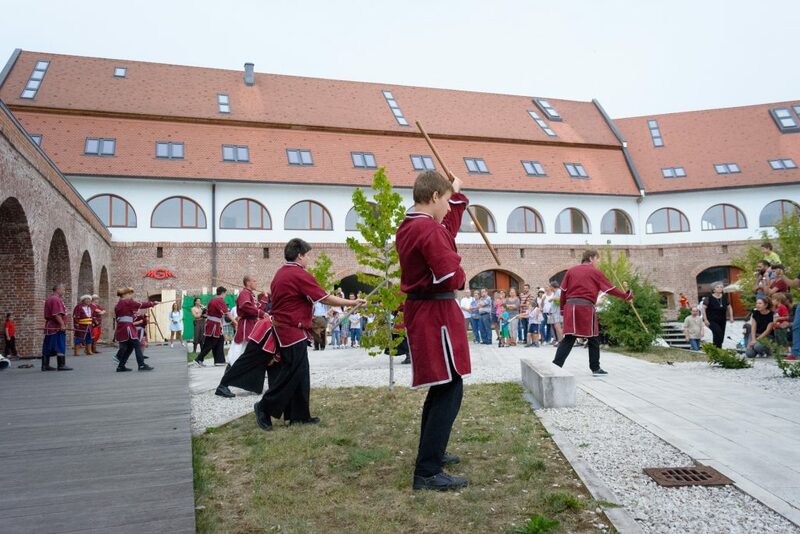 I would like to use this opportunity to thank the Banat Museum for the opportunity to participate in this festival, and to also thank our friends and colleagues from the baranta team Déli Tüzek Örzői for their valuable help. 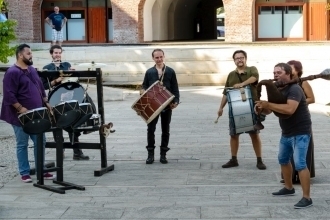 Last, but not least, I would like to thank the Peregrinii group and their manager and advisor Sergiu Galiș for their collaboration”. 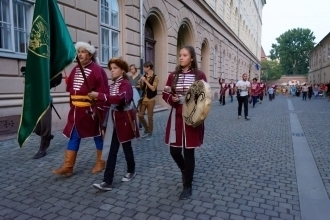 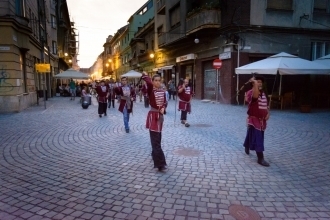 Similar thoughts had the leader of the Déli Tüzek Örzői Association, Végh László: ”We have visited Timișoara on different occasions, following the invitation of our friends. 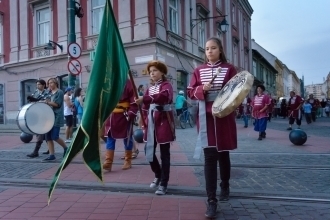 For example, last year, during the Hungarian Cultural Festival, we realised that in this multinational and multicultural city, the hungarians from Timișoara can and will preserve their cultural heritage. 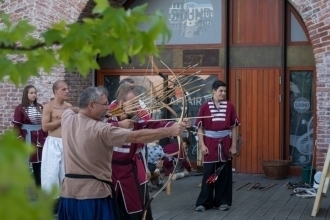 We are also glad that a friendly relationship was formed between us and the members of Losonczy István Hagzománzőrző és Sportegyesűlet Association, a relationship that I am sure will evolve in the near future. 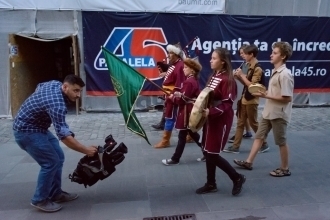 One can observe the positive evolution of the baranta team from Timișoara, and we hope that we will organise more substantial events in the future. 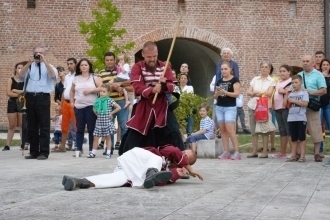 Between the 22nd and the 24th of September we will participate in the Hungarian Cultural Festival with the historical reenactment event entitled The Final Battle for the Fortress of Timișoara, held in front of the Huniade Castle from Timișoara”. 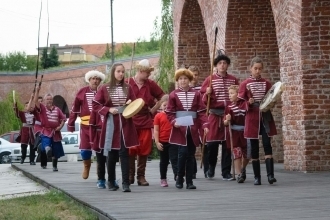 During this event, beside the fighting demonstrations and the weapons exhibition, the primary school teacher Adorjányi Borbála and the teacher Nüszl Erzsébet prepaired different hand-made activities for the participating families, creating decorative objects out of natural materials.